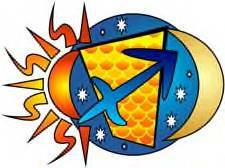 “To Comprehend That Which is Hidden, Nudges the Pisces New Moon on Feb 21 2012? As our sojourn through the cold winter months is taking an upward turn towards the thought that spring is near, and that new hopes and wishes are on the horizon and are about to bloom soon. Our feelings and plans for the year are gaining a momentum all its own. Within this sense of excitement and energy the 2 Pisces 42 New Moon at 2:35 pm PST on February 21st 2012 makes its appearance nudging us to grasp and to comprehend our hidden beliefs, our hidden secrets and our hidden mysteries that lie dormant in our consciousness and our sub consciousness for our benefit and use, no matter how the year turns out for each of us. WithNeptune, Mercury, Chiron and two other asteroids conjoining the Moon and Sun in Pisces, it is like the joker in a field of playing cards that may be a help or a disadvantage, but not without pain. As the old axiom “where there is no pain, there is no gain” will be making its presence known and felt during the coming year. Uncovering and revealing these thoughts and moments which are hidden in the back of our memories, gives us the time and opportunity to resolve issues that may be a hindrance or a benefit for our further growth. It is in experiencing the pain of reliving the moments we have conveniently laid aside that understanding and comprehending the circumstances, that healing comes about. With healing comes acceptance and forgiveness and in time we will extend our gratitude for experiencing the trials and tribulations, in so doing, we begin to understand their part in our development. This new awareness and confidence is the extra ingredient we need to help, to create and to bring into fruition our desires and hopes in the coming year. 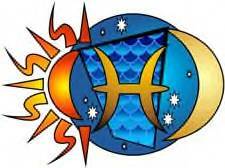 “The Sabian symbol for the 3rd degree of Pisces is taken from “The Sabian Symbols in Astrology by Marc Edmund Jones”, and what follows are my comments. Pisces 3 A petrified forest This is a symbol of the absolute certainty which any individual may develop in the terms of his conscious knowledge, and of the power in human character which becomes the hallmark of his intellectual orientation. The static symbolism is a warning against any reliance on stabilities to which no immediate or personal contribution is made, and which in consequence may become obstacles to progress. Here rather is dramatization of an eternal stoutheartedness, and of its very practical dividends in spiritual continuance. The keyword is survival. When positive, the degree is effective continuity and breadth of resource in human effort, and when negative, complete immobilization in superficial reality. This symbol speaks to us about convictions, intellectual certainties, character, concepts and ideas that survive long after they have been conceived. It is the image of endurance, but at the same time it alludes to inflexibility, stubbornness, resistance to change and the inability to adapt or improvise at any moment in time. One begins to realize and suspect that the picture we have of our self may be a stumbling block instead of a stepping stone to accomplish our dreams. This symbol speaks to our inner soul, by epitomizing and demanding us to search within our deepest thoughts, that the convictions we held so dearly and live by as truth for so long, still resonates and supports us in accomplishing our wishes and dreams. If we hope to live this year as fully as possible, we need to listen and to take advantage of the energy and power of this New Moon in Pisces. By trying to grasp and to comprehend the hidden beliefs, secrets and mysteries of our consciousness within us and to change it, if need be. Then and then only, will we be able to transform our stumbling block into a stepping stone in which to generate and live a life joyfully and with satisfaction.